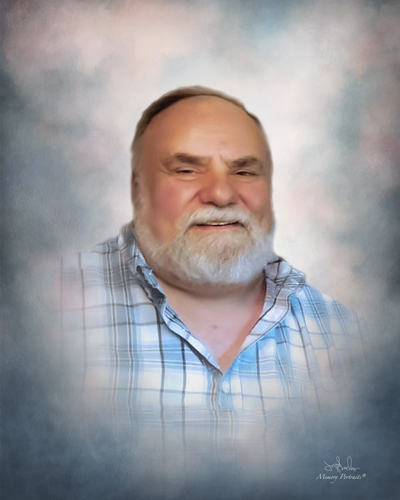 Roger Huff, age 73, of Evansville, IN, passed away on Saturday, September 15, 2018. Roger was born May 30, 1945, in Evansville, IN, to Curtis & Bessie (Holmes) Huff. He attended Bosse High School. Roger always had a strong work ethic. He started his first business at the age of 13 selling candy and sodas. Roger was self-employed with a carpet installation business and was also known as the “Produce Man” at Giant Flea Market on Kentucky Avenue. Where not only did he sell produce, he also instilled his work ethic to his grandchildren. He provided transportation for members of the Amish community. Roger volunteered for the Potter’s Wheel and New Horizon Fellowship Church of God. Roger worked hard all his life and shared freely the fruits of his labor. He enjoyed bingo, playing cards, and watching basketball and football. Most importantly, Roger should be remembered for the love he had for his children, grandchildren, and anyone he considered family. He is survived by the mother of his children, Elnora Huff, his son, Donnie Huff (Cynthia) and daughter, Angela Arriago (Eddie), brothers, Jimmy Huff (Marilyn), Bobby Huff, Jack Huff (Shirley), sisters, Eugenia Blackwood (Roy) and Versal Osman (Richard); grandchildren, Brandi Staples (Jason), Kristina Owens (Josh), Zackery Arriago, Cody Huff, Andrew Arriago, Dylan Arriago, and Kamron Davis; great grandchildren, Ryder Staples, Aubree Staples, and Jansen Huff; companion, Jenny Stogsdill; and many nieces and nephews. Roger is preceded in death by his parents, sisters, Ermal Huff and Audrey Marcum, and grandson, E.J. Arriago. Funeral Services will be held at 11 a.m., Wednesday, September 19, 2018 at Boone Funeral Home East Chapel – A Family Tradition Funeral Home, 5330 Washington Avenue with Pastor Carl Mann II officiating. Entombment will be in Park Lawn Mausoleum. Friends may visit from 3 p.m. until 7 p.m., Tuesday, September 18, 2018 at BOONE FUNERAL HOME EAST CHAPEL. Memorial Contributions may be made to New Horizon Fellowship Church, 1518 Washington Ave, Evansville, IN 47714 and Potters Wheel, 333 Jefferson Ave, Evansville, IN 47713.